Restaurants, hotels and institutions can benefit from the exceptional cooking performance of the Atosa ATHP-24-4 Heavy Duty Stainless Steel 24" Four Burner Hot Plate. Built with 4 independently controlled burners, this hot plate can be used to cook multiple foods at different temperatures while its cast iron grill is exceptionally durable. To ensure quick ignition, it is designed with a standby pilot light that lights up the burners instantly. Constructed from stainless steel, this hot plate offers extra long service life and is rust and corrosion resistant. 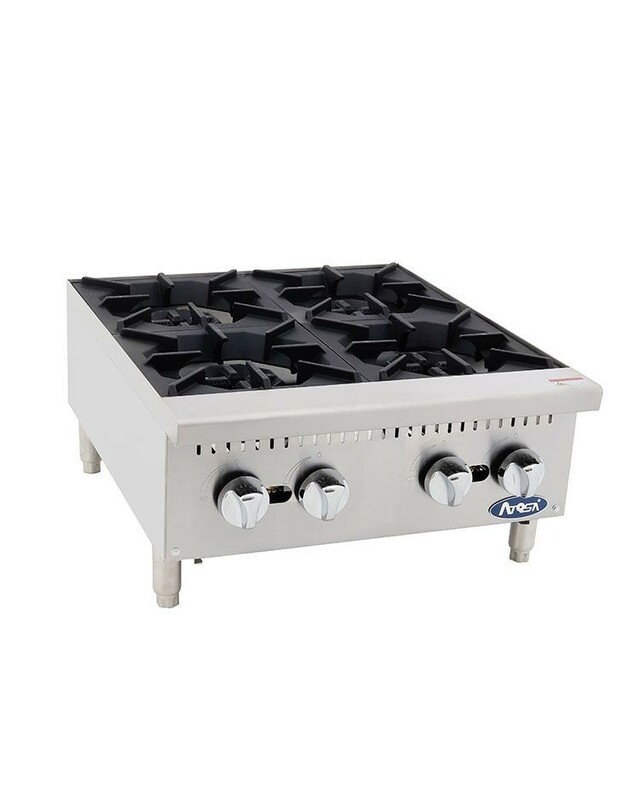 For added convenience, it has adjustable stainless steel legs so it can be positioned to a comfortable cooking height. 26-4/5" x 29-9/10" x 16-1/2"